There’s more to being the world champion in chess than playing great moves and controlling your nerves. 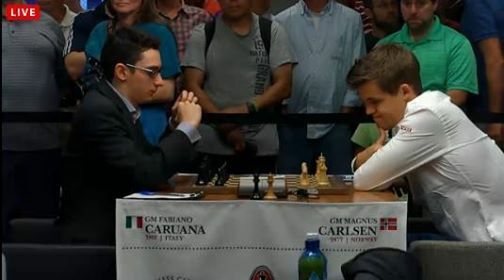 After eleven successful draws against Fabiano Caruana, Magnus Carlsen chose to abandon his advantageous position in game 12 in favor of a draw offer. Why would the World Champion do so such a thing? Perhaps as Kasparov put it, “he seems to be losing his (nerves. )” Or perhaps Magnus Carlsen knows that the least dangerous path to remaining the World Chess Champion is exploiting the loopholes in FIDE’s tiebreak system. Experience in this format has taught Magnus Carlsen to favor a cautious approach. And why wouldn’t he? If the classical portion of the match remains even after 12 games the combatants break the tie by battling in rapid play and then blitz if necessary. Magnus Carlsen classical rating (2835) is just three points better than Fabiano Caruana’s (2832.) Where as, Carlsen’s rapid rating is 2880, and his blitz rating is 2939; vs. Caruana’s rapid rating of 2789, and his blitz rating of 2767. In short, by being overly cautious in classical time controls, Magnus has a much better probability of remaining champion. One could argue that rapid and blitz games shouldn’t determine the classical chess world champion, but as long as they do, The Magnus Carlsen Doctrine of winning by not losing makes sense. Big Thanks to Robert Hess for allowing me to share his Facebook post on this blog! After seeing Robert Hess II’s post on Facebook, I became curious about his chess adventures with Fabiano Caruana in Argentina. After a quick search of my database, I found this superb chess game played by the two young chess prodigies. Below is the lesson from the game that I have prepared for my students this week. Why is Fabiano Caruana Dominating the Strongest Chess Tournament Ever? Fabiano Caruana’s dominating performance in the 2014 Sinquefield Cup is made possible by a combination of his rare talent, passion for the game, hard work and experience. 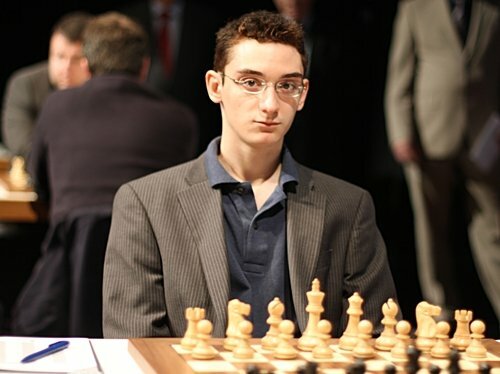 Yesterday in chess class, one of my students asked me, “How is it possible for Fabiano Caruana to play chess so well?” I answered her by saying that it is a,”Combination of talent, passion for chess, hard work and experience.” When another child asked me about his experience, I explained that, “It takes learning from thousands of losses to become any good at chess.” I then set up the position below in which Torres Chess and Music Academy coach Emory Tate provides a valuable learning moment to the young Fabiano Caruana. 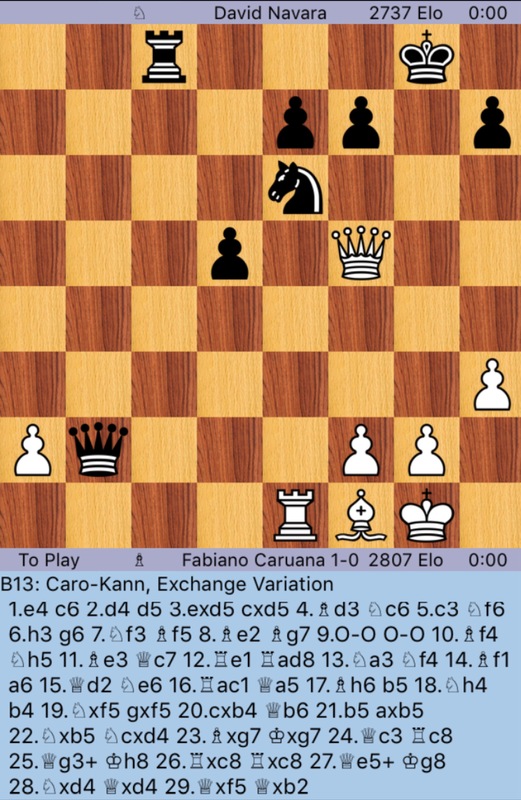 Position from Fabiano Caruana vs Emory Tate. Black to move and win! Fabiano Caruana and Magnus Carlsen at the 2014 Sinquefield Cup. For months, the tournament organizers have been promoting the 2014 edition of the Sinquefield Cup as the strongest chess tournament ever assembled. To Fabiano Caruana, however, the 2014 Sinquefield Cup is just a walk in the park! To be fair, the pleasantly modest Fabiano never described it quite in that way but his actions do speak louder than Magnus Carlsen’s words. Fabiano Caruana has swept half of the world’s top ten chess players during the first five games of this double round robin event. Not since the time of Bobby Fischer has the chess world been treated to such a dominating performance on such a high stage and not since the time of Gioachino Greco has Italy been home to such a awe-inspiring chess talent. Caruana defeated Carlsen, Aronian, Naka, MVL and Topalov – 5/5 at #SinqCup. Tournament of a lifetime or the rise of a new #chess king? White had all the fun in round 1 of the 2012 Mikhail Tal Memorial chess tournament. 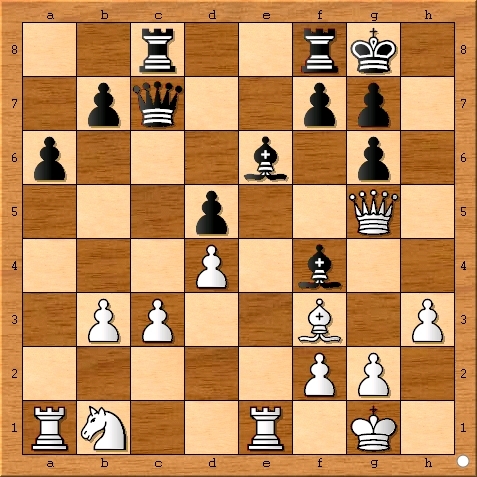 Four games were won by players with the white pieces and black managed no better than a draw on the remaining board. This is a dramataic turn of events for the chess fans of Moscow. After being treated to a draw fest in the Anand-Gelfand match last month, Russians can celebrate the return of “real chess” to the Red Square. Round 1 of the 2012 Mikhail Tal Memorial Chess Tournament is about to begin. After a hard fought 9 round blitz tournament, we now have a clearer picture of what to expect in the main event. First off, Alexander Morozevich surprised his Russian fans by winning the blitz tournament on his home turf in Moscow. Alexander’s victory should put him in a good mood for tomorrow’s round 1. Hikaru Nakamura’s confidence might be raddled after failing to finish in the top half of the final standings. However, Nakamura still performed remarkably well especially when compared to Vladimir Kramnik. Kramnik, a former chess world champion, finished second to last with only 2.5 points out of 9 rounds. Either Vladimir really didn’t care or he is a good actor at portraying a lousy blitz player. All and all, the 2012 Mikhail Tal Memorial Blitz Tournament offered spectacular action and should have wet the appetitites of chess fans for the main event. 1. Nf3 Nf6 2. g3 b6 3. Bg2 Bb7 4. O-O c5 5. d3 g6 6. e4 Bg7 7. Nh4 Qc8 8. 1. d4 d5 2. Nf3 c6 3. c4 Nf6 4. e3 Bg4 5. Nbd2 e6 6. Bd3 Nbd7 7. b3 Bd6 8. It’s almost time for the most exciting chess tournament of the year to begin. The seventh annual Tal Memorial Chess Tournament in Moscow will have its opening ceremonies on June 7. It is important to clarify the distinction between the main tournament and the blitz tournament do to the fact that the same 10 players will battle in the blitz event to decide the order of their opponents. The Blitz event also has a separate prize fun of 15,000 euros and the top five will receive one more game with the white pieces during the main event. The 2012 Mikhail Tal Memorial main event should be an incredibly exciting chess spectacular. The ten combatants are made up largely of the best and brightest stars of chess. A controversial rule for the tournament states that the players are not allowed to offer a draw before 40 moves have been played. Mixing the most exciting chess players with a rule that forbids early draws and then adding a 100,000 euro prize fund should be a recipe for an exciting chess tournament. Time Control: 1 hour 40 minutes for 40 moves plus 50 minutes for 20 moves plus 15 minutes for the rest of the game with a 30 second increment per move, starting from the first move. Magnus is known as the “Mozart of chess” and is the world’s number one rated chess player. This young gun took the first place prize at the 2011 Mikhail Tal Memorial. Levon is the world’s second highest rated chess player with an incredible rating of 2823. At last years Mikhail Tal memorial he finished the main event tied for first with Magnus. Kramnik is the third and final member of the current 2800 rating club. Vladimir Kramnik is also a former World Chess Champion and recently won the London Chess Classic ahead of both Magnus Carlsen and Levon Aronian. Teimor Radjabov is ranked number four in the world with a current FIDE rating of 2784. Teimor became a a chess grand master at the young age of 14 which makes him the second youngest ever to achieve the grand master title. Hikaru is the fifth highest rated chess player on earth. Hikaru just finished winning the United States Chess Championship and is in excellent form. At age 19 Fabiano is the youngest chess player in the field. Don’t think for a second that his age is a handicap. The young Italian is currently rated at 2769 which is only 11 points behind Viswanthan Anand. Morozevich shares the same rating of 2769 with Caruana. Alexander is my favorite chess player in the field do to his risky style which produces few draws. Unfortunately for Alexander, his style is perfectly suited for a World Championship match but not ideal for this tournaments format. Grishchuk won both the Russian Championship and the Linares Chess Tournament in 2009. Alexander seems ready for a big performance to rejoin the top 10 in the world. Tomashevsky is known as the “professor” do to the fact that he plays positional chess like an old man despite his young age. McShane should never be underestimated. Of all his notable results, my favorite is the fact that he won the World Chess Championship for players under the age of ten at the age of eight. McShane is very popular with chess enthusiasts and was voted into the Tal Memorial by his many fans. Please return to this chess blog for updates and analysis on the 2012 Mikhail Tal Memorial chess tournament from Moscow, Russia.